SS UNS S31000 / S31008 Serrated Flange Nut, SS 310 Nuts, Stainless Steel DIN 1.4841 / 1.4845 Castle Nut, 310S SS Wing Nut, Stainless Steel 310H Heavy Hex Nut Manufacturer & Stockist in India. Asiad Steels is one of the known manufacturers and exporters of Stainless Steel 310S Nuts and Stainless Steel 310H Nuts, which is being offered different sizes and shapes as per clients requirement. Moreover, these fasteners come with their accurate dimensions, sturdy construction and corrosion resistant properties. It offers some exceptional features to our clients such as Reliable, High tensile strength, Durable and so on. Apart from this, the offered product is manufactured under the supervision of adroit professionals, who check the accuracy of the offered product. Buy SS 310S Nuts and SS 310H Nuts at cost-effective price from us. Stainless Steel 310S Hex Nuts is the low carbon version of the alloy, which is utilized for ease of fabrication. Stainless Steel 310S Heavy Hex Nuts is typically used for elevated temperature applications as its high chromium and nickel content provide solid corrosion resistance, excellent resistance to oxidation, and superior strength in temperatures up to 2100 Degree F. Stainless Steel UNS S31008 Self-Locking Nuts is used in fluidised bed combustors, kilns, radiant tubes, tube hangers for petroleum refining and steam boilers, coal gasifier internal components, lead pots, thermowells, etc. 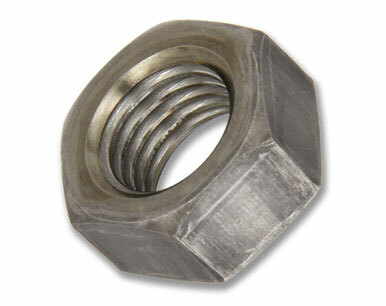 Stainless Steel 310H Lock Nuts has carbon content and is a preferred choice for high temperature applications. The high chromium content - intended to increase high temperature properties – also gives these Stainless Steel 310H Nylon Insert Nuts good aqueous corrosion resistance. Stainless Steel UNS S31009 Coupler Nuts is often used in Fans, Trays, Baskets, Rollers, Burner parts, Oven linings, Tube hangers, Retorts linings, Conveyor belts, and more. ASTM A 479 / ASME SA 479 SS Coupler Nuts, Stainless Steel 310S/310H Nylon Insert Nut, SS 310S/310H - Hex Nuts, Stainless Steel 310S Heavy Hex Nuts, SS 310H Lock Nut Supplier & Exporter in Mumbai, India. We are Exporter of Stainless Steel 310S/310H Nut in Worldwide Such as India, Spain, India, Nigeria, Iraq, Azerbaijan, Romania, Estonia, Israel, Egypt, Hungary, Bangladesh, Zimbabwe, Angola, Finland, Oman, Thailand, Iran, United States, Yemen, Bolivia, Gabon, Canada, Nigeria, Peru, Taiwan, Kenya, Sri Lanka, Bulgaria, France, Bahrain, Namibia, Mongolia, Vietnam, Lithuania, United Kingdom, Afghanistan, Argentina, United Arab Emirates, Macau, Belarus, Malaysia, Bhutan, Qatar, Germany, Colombia, Indonesia, Kazakhstan, Kuwait, Puerto Rico, Iran, China, Pakistan, Turkey, Ukraine, Venezuela, Morocco, Switzerland, Greece, Jordan, Croatia, Russia, Belgium, Gambia, South Africa, Denmark, Costa Rica, New Zealand, Netherlands, Singapore, Lebanon, Australia, Sweden, Algeria, Philippines, Brazil, Ghana, Slovakia, Tibet, Nepal, Poland, Norway, Saudi Arabia, Chile, South Korea, Hong Kong, Portugal, Ecuador, Chile, Ireland, Poland, Austria, Trinidad & Tobago,Tunisia, Japan, Mexico, Italy, Czech Republic, Libya, Mexico, Serbia. We are Suppliers of SS 310S/310H Nuts in India Such as Mumbai, Caracas, Ankara, Mumbai, Jaipur, Gurgaon, Perth, Ahvaz, La Victoria, Granada, Vadodara, Tehran, Jakarta, Aberdeen, New York, Kolkata, Bangkok, Ranchi, Colombo, Sydney, Houston, Al Jubail, Hong Kong, Brisbane, Baroda, Algiers, Busan, Nashik, Edmonton, Geoje-si, Kuwait City, Al Khobar, Secunderabad, Bogota, Faridabad, Chiyoda, Jamshedpur, Ho Chi Minh City, Hanoi, Pune, London, Thiruvananthapuram, Toronto, Muscat, Kuala Lumpur, Milan, Ulsan, Navi Mumbai, Chandigarh, Surat, Riyadh, Ernakulam, Ludhiana, Howrah, Mexico City, Manama, Noida, Sharjah, Jeddah, Karachi, Istanbul, New Delhi, Petaling Jaya, Chennai, Port-of-Spain, Calgary, Atyrau, Rajkot, Dammam, Doha, Pimpri-Chinchwad, Moscow, Vung Tau, Gimhae-si, Bengaluru, Cairo, Abu Dhabi, Kanpur, Bhopal, Courbevoie, Lahore, Coimbatore, Dubai, Melbourne, Ahmedabad, Dallas, Montreal, Rio de Janeiro, Hyderabad, Indore, Thane, Los Angeles, Visakhapatnam, Seoul, Santiago, Nagpur, Haryana, Singapore, Madrid, Lagos.